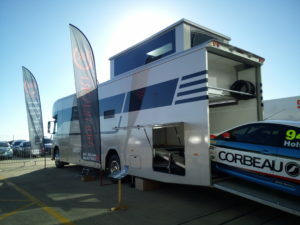 Ben Whibley, founder and managing director of MotorsportDays, invited Boss Racing to participate in their excellent show at Silverstone where we joined the CSCC on its stand. 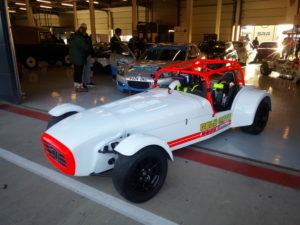 Tim Davis and Jack Hannah took people for hot lap rides around the circuit in two of our trackday Sevens over the two days of the show. 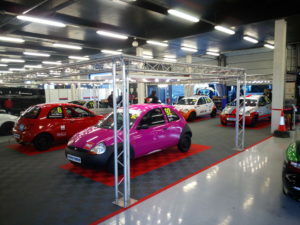 Altogether, there were 150 cars on track and 60 exhibitors with highlights including the launches of Revolution Racecars new sub £100,000 carbon tubbed sports prototype, and the Enduroka race series for Ford Ka’s for the slightly less well heeled. It was a very different experience to the normal shows. 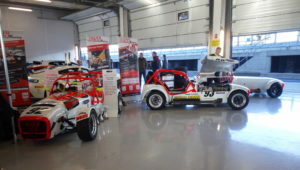 Being able to see show stands, wander among the teams in the pit garages and jump in the cars for hot lap rides was a whole new experience for members of the public. We’re looking forward to the 2019 show as a great way to finish the season. 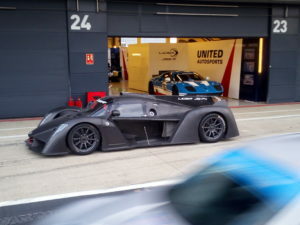 Ligier LMP4 giving hot lap rides! Except for us it wasn’t quite the end of the sesason. 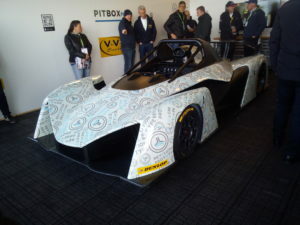 We entered two cars for the ‘Allcomers and Z Cars’ race at Brands Hatch on a weekend marked by changeable weather conditions. 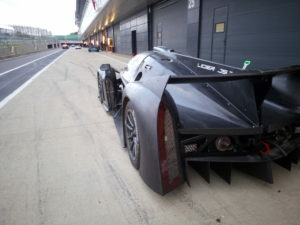 Qualifying was cold and damp despite the TSL timesheets saying ‘Dry and bright’. They clearly didn’t come out of the timekeepers office! We had brought slicks for 92 but wet and intermediate options were a little thin on the ground. 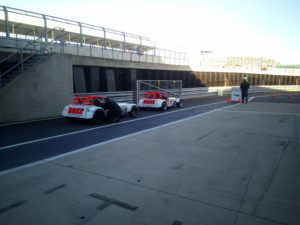 Colin lined up for the first race in our 92 C400 behind a rapid M3, while Peter Hargroves was 11th on the grid. By the time the starting lights went out the track had dried and it stayed dry for the duration of the race Colin made a great start and pulled away to win by eight seconds with Peter seventh. 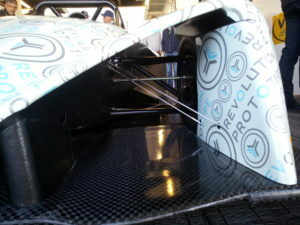 A heavy shower before the second race returned the track to the conditions for qualifying. Colin was now on some vintage wet tyres that clearly hadn’t matured with age and couldn’t live with the winning Porsche 997 Cup and the M3 now on fresh wets. 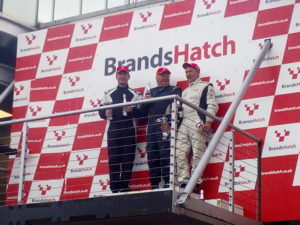 He held second for the first four laps before dropping to third where he finished. So that was it for another season. But we’ll have plenty to do before 2019 starts. There’ll be cars to prepare, engines to build and ideas to try out. As usual I’ll be keeping you informed…some time!